Where people live, how it is designed and if there is enough green and shade, affects the attractiveness of a neighbourhood as well as the well-being and health of inhabitants. Historically gardens were a display of affluence only affordable for an select group, like the famous Versailles gardens commissioned by the Louis XIV King of France in the 18th century. Today we still often think of avenue trees and waterfronts and other well designed public spaces as luxuries. However, the value and need for quality public spaces is sadly still underestimated for poorer communities. Research increasingly suggests that public spaces are especially important for the wellbeing of the urban poor. Green public spaces provide opportunities for social interaction, better air quality, can improve the sense of security as well as positively affect the mental and physical health of people. Because poorer communities have less access to high quality living standards, public spaces brings even more added value. Climate change is another growing concern, especially because it disproportionately affects urban areas. As the built-up structure and sealed surfaces like roads and pavements make cities more vulnerable to urban flooding, reduced air quality and the urban heat island effect. Notably, climate change also affects poorer neighbourhoods more strongly. Poorer neighbourhoods are hence urgently in need of adaptation measures to deal with climate change and access to green public spaces which provide much needed recreation facilities and vital health benefits. 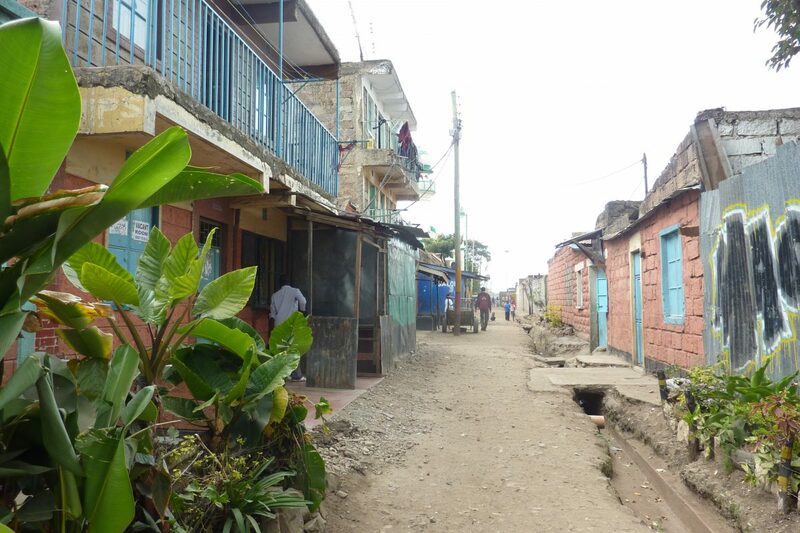 Dandora is an infamous poor neighbourhood in Kenya. Dandora residents live very close to the Nairobi dumpsite, one of the largest dumpsites in Africa. Streets in Dandora are often littered with filth due to overfilled garbage trucks passing directly through the area. Another challenge is high crime levels and youth unemployment. The silver lining in this story is the community-based organisation the Dandora Transformation League (DTL). This inspiring organisation employs youth to improve the area. They clean streets, unclog drains and make streets safer and more attractive by fencing of areas and introducing plants. Despite the good work of the DTL organisation, the quality of the public spaces in Dandora is still low and several health-related climate risks such as heat stress are not addressed. 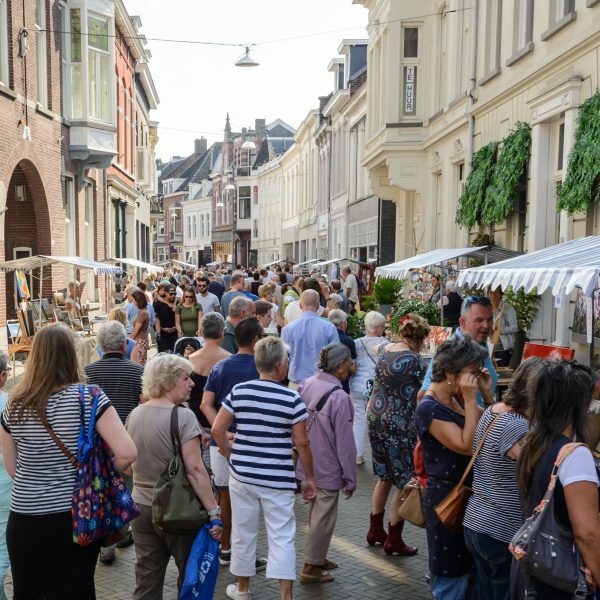 This created an opportunity to investigate how the current initiatives could be improved by mainstreaming climate adaptive measures into the current participatory public space development. I spent 3,5 months in Nairobi, discussing with local experts and residents about feasible climate change adaptation measures for Dandora. This study was done with a co-creation approach. With the help of Placemakers Kenya and the DTL organisation I met with residents several times. Consultations with urban experts on possible adaptation measures and ways to involve the residents. Through discussions with residents I explored how climate adaptation measures could be integrated with existing community priorities. I focused on practical measures that could improve the quality of the streets on the eye level. The residents wanted to create a cleaner and safer neighbourhood, address jobs opportunities and health hazards. An important lessons learned from the residents is that they see social and environmental issues as one. Climate effects were only considered important to address when they directly impacted heath, livelihood or well-being, like heat and air pollution. So a successful climate adaptation should not be considered a goal on its own, or the main goal of a project. But instead be part of a long term place management strategy to improve the living conditions by addressing community priorities. From different measures, planting trees, painting roofs white and creating shading structures for street merchants were chosen as the most feasible measures for Dandora. These measures suited the local context by being low-cost and easy to act on and maintain, while providing multiple benefits. The trees and white roofs would make the area cooler and more comfortable to stay in, especially for the children and elderly this is important. The measures would also directly contribute to making the neighbourhood more attractive and support a positive image after cleaning the streets. Addressing job creation is difficult but by providing shading structures street merchants, like ‘mama mboga’s’ (vegetable ladies) who usually sell food under the hot sun could protect their wares, and potentially expand their business. 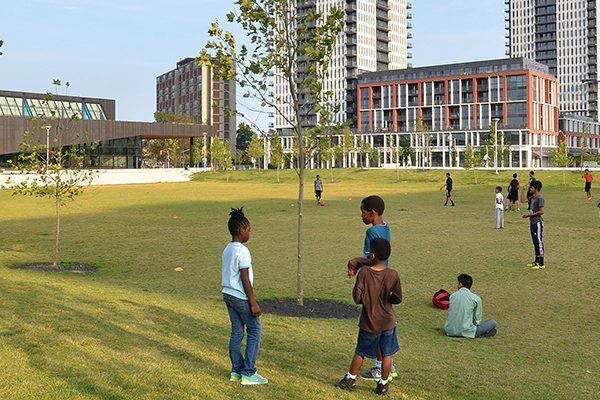 Using a placemaking lens to look at what drives citizens to take action, and addressing creating high quality and green public spaces provides a valuable window of opportunity to address multiple issues. Public space can be considered as a vital public good which can be used to address both environmental and social needs.